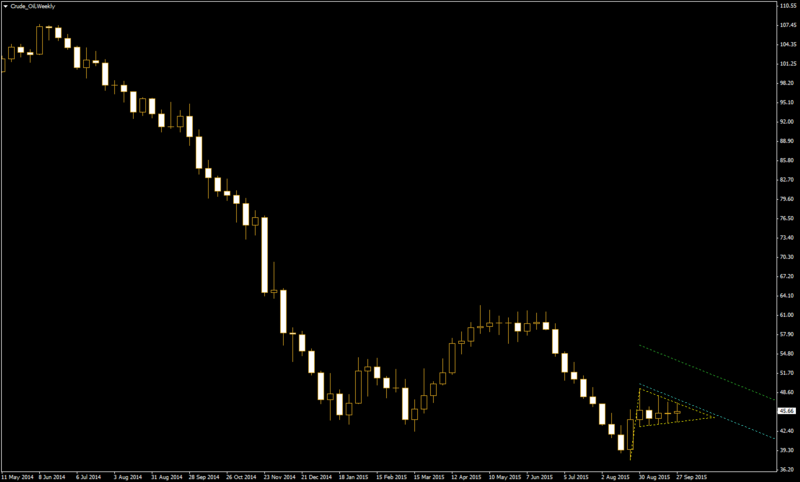 Crude oil has been in decline for over a year now, but halted its downward movement recently. This made some analysts speculate that the commodity bottomed out. Indeed, the bullish pennant pattern that has formed on the weekly chart suggest that such speculations are reasonable. If such view proves true, it will be positive not just for the energy market but also for commodity-related currencies, especially for the Canadian dollar and the Norwegian krone. The yellow lines on the present chart indicate the pennant itself. It was formed after the upside move was followed by the period of consolidation and suggests that the upward movement should resume in the future. If that is the case and an upward breakout indeed occurs that the cyan line offers the entry-level for long positions. The green line suggests the profit-taking target. 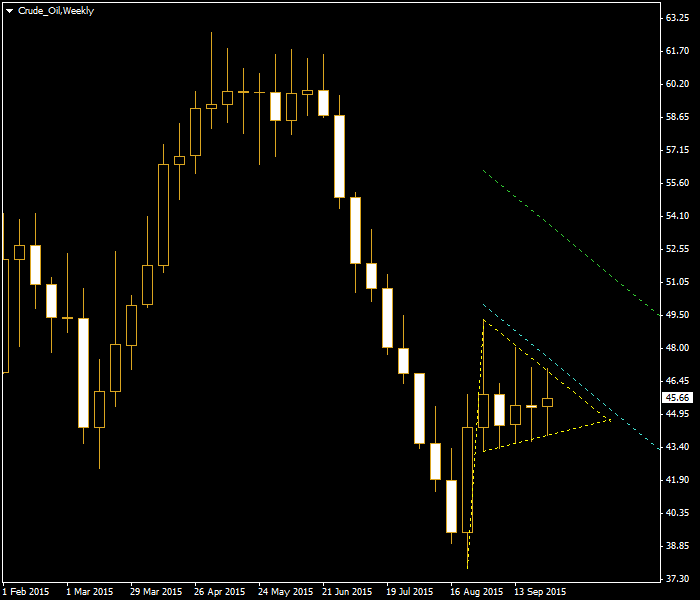 If you have any questions or comments regarding this chart pattern for copper, please feel free to reply below.